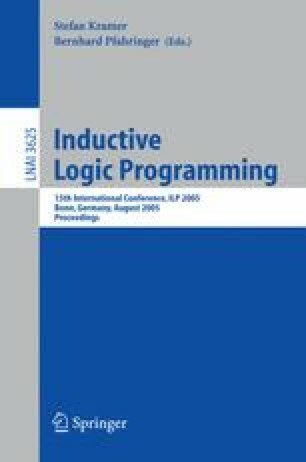 Recursive loops in a logic program present a challenging problem to the PLP framework. On the one hand, they loop forever so that the PLP backward-chaining inferences would never stop. On the other hand, they generate cyclic influences, which are disallowed in Bayesian networks. Therefore, in existing PLP approaches logic programs with recursive loops are considered to be problematic and thus are excluded. In this paper, we propose an approach that makes use of recursive loops to build a stationary dynamic Bayesian network. Our work stems from an observation that recursive loops in a logic program imply a time sequence and thus can be used to model a stationary dynamic Bayesian network without using explicit time parameters. We introduce a Bayesian knowledge base with logic clauses of the form A ← A 1,...,A l , true, Context, Types, which naturally represents the knowledge that the A i s have direct influences on A in the context Context under the type constraints Types. We then use the well-founded model of a logic program to define the direct influence relation and apply SLG-resolution to compute the space of random variables together with their parental connections. We introduce a novel notion of influence clauses, based on which a declarative semantics for a Bayesian knowledge base is established and algorithms for building a two-slice dynamic Bayesian network from a logic program are developed.